In the meantime Saudi King Abdullah died at the age of 90, and London’s White Hall decided to fly flags at half-mast, which was widely criticised on social media. 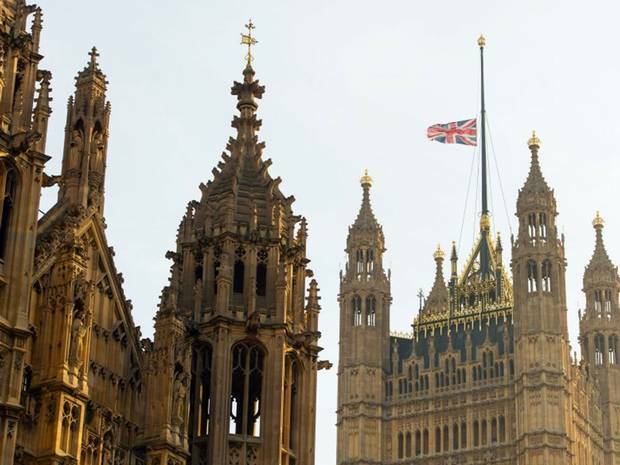 Asked to justify its decision to fly its flag at half-mast, Westminster Abbey said in a statement: “We always fly a flag. It is at half-mast because the government has decided to fly their flags at half-mast today“ reports the Guardian. That said, priorities seem to be clearly set. However, following the lashing of Raif Badawi and leaked footage that showed the public execution of a woman accused of beating her daughter, Saudi Arabia’s harsh interpretation of sharia law and its use of capital punishment have come under international scrutiny. For many, the Saudi justice system sounds not unlike that of IS, the extremist Islamist group aka Islamic State. Middle East Eye, a website that focuses on news from the region, contrasted a set of legal punishments recently announced by IS with the corresponding punishments in Saudi Arabia. The Islamic State (IS) and Saudi Arabia prescribe near-identical punishments for a host of crimes, according to documents circulated by the militant group reports the MiddleEastEye. The document lists „hadd“ crimes, which are considered to be “against the rights of God,” and includes fixed punishments for theft, adultery, slander and banditry. For what was the flag at half-mast again? Syriza: a new political vision for Greece (and Europe).